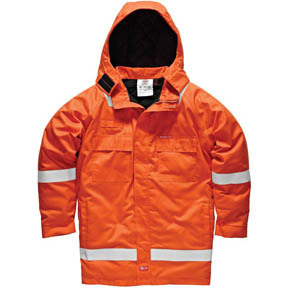 Dickies High Visibility Workwear range includes overalls, jackets, trousers, waistcoats and tops. Items are all available within a 2-3 day delivery or Next Day for an upgrade. Dickies Hi Vis Workwear can be logo'd with your company logo from as little as £1.10 using screen print or raised thread embroidery. Our friendly team is here to help. For a quote please call 0844 209 6389.